My editing process took several different and rather haphazard forms. Some sections came out almost exactly as they are now in the book, but, I struggled over many sections and ideas for days or even weeks. For example, one day, I was sitting in front of an old bookstore in a small coastal town. The sun was creating sparkles on the water and it was simply beautiful. I happened to have my mini-laptop setting on the back seat. I pulled it out, wrote a brief description about the place, and saved it with the idea that someday I might be able to use the description in some piece of writing or, worst case scenario, have the description as a reminder of that precious scene. That ended up being the first couple chapters in the book without any changes at all. There were other times as I was driving or taking a shower or going on a walk that a few words, plot ideas or character motivations suddenly came to me and I quickly wrote them down and put them away in a folder without really knowing if I would ever use them. 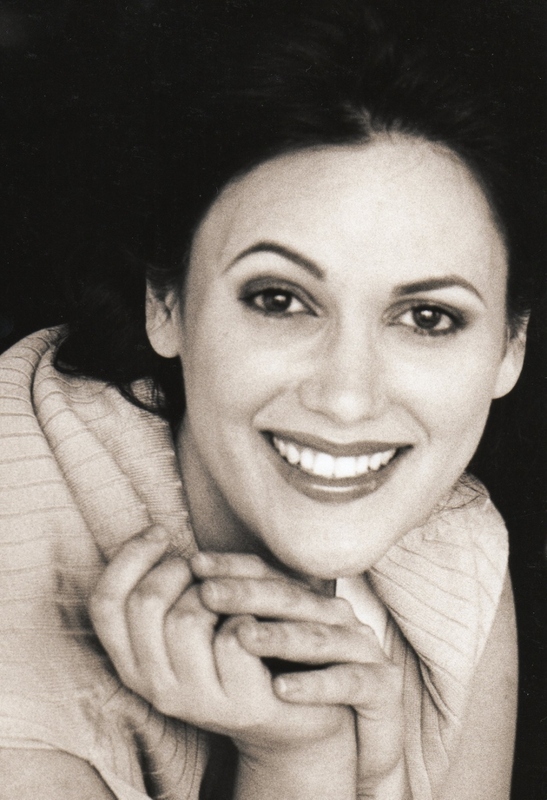 By the time I decided to get real about writing my book, there were bunches of little pieces of paper and jotted down notes in a binder or saved in a folder on the laptop. I bought a binder, and some really smooth writing pens, compiled my notes and pieces of paper and began to put ideas together—those pieces or descriptions ended up all over the place within the book. For most of the book; however, I had to set goals for myself and just keep on keeping on. I found it best to write one small section or a few pages per week. On the first day of the writing week, I typed out the general idea for the section without worrying about grammar or punctuation. The next day, I took that section or chapter and began cutting unnecessary ideas and/or rearranging/replacing words. Finally, by the third day, I was generally ready to tidy everything up—put that small section or chapter through spell and grammar check, print it off and add it to the binder. Even then, however, most of it was not really written in chronological order. In the end, I took all those sections, rearranged some more, made loose ends go away, filled in holes and put it the entire book through spell and grammar check over and over and over. I think it might possible to spend a lifetime fixing and changing and putting your work through spell and grammar check; but, at a certain point, I simply decided that I was done. There is a story of a poet who kept working on the same poem for 20 years and was never totally satisfied. I can see how that is very possible because there is always feels like something could be better and it always feels like there are more mistakes to be fixed. But, for me, in the end, I also came to a point of accepting some imperfections and just being happy that I had accomplished my goal. Kiva looked down from her position on a tree branch high above the forest floor and frowned. She took a slow, deep breath while calculating the distance between the maple she was in and the branch she’d need on the elm tree, then started putting together all the training steps she’d been taking. Bending her knees and rolling forward on her feet, she curled her left hand behind her and went into a crouch. She instinctively twitched her hand away just before it touched her back, a move that would trigger another of Sakral’s withering criticisms that had been making Kiva’s errors painfully memorable. While letting her breath out slowly, she whipped her left arm forward, snapping her wrist up to release the coiled swingvine Sakral had lent her. Pointing at her swing branch, she waited as the end of the vine landed and curled around it, then jerked back with her fist to set its hooks into the branch. Feeling the connection was solid, Kiva took a quick, deep breath and jumped. Though she’d done it dozens of times in the past four nights of training and traveling upriver with Sakral, the moment of jumping off a branch was still terrifying. The feeling of falling always threatened to make her panic and lose focus. 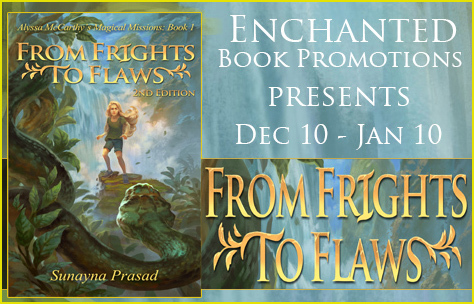 Before it could, though, the tightening of the swingvine around her glove snapped her body into the series of practiced moves Sakral had taught her to turn falling into flying, fear into freedom. Extending both arms over her head, Kiva swung her legs back and put her head down until she passed under her swing branch midway into the arc of her flight, then smoothly lifted her head and brought her legs down. As she passed the first level of branches on the other side, she pulled down on the vine, tilted her head back, and swung her legs forward in one fluid movement. The rush of swinging up—even more intense now than it had been that first time with Raymonde—made the past few days of dropping through the air, crashing into trunks, and getting tangled up in her swingvine all worth it because, at these moments, she felt more powerful, energized, and alive than she ever had. She was so thrilled by the sensation that she almost didn’t see the small branch in her way before it was too late. In a flash, she tightened her left arm’s hold on the vine as she brought her right arm angled up in front to deflect the branch away from her face and swung her legs to the left to keep from being spun to the side. Even though the branch was thin, it slashed like a whip, but the bark shields Sakral had tied on her forearms took most of the impact. In less than a second, Kiva had swung her legs back to the middle and up to complete her arc. She was delighted to find she was still heading straight for a good landing branch on her target tree. Then came the most difficult move of all. Just before reaching the top of her arc, she pulled the vine forward, swung her legs down, bent her knees, and landed softly on the near side of her landing branch, letting the momentum roll her forward exactly to the middle. She felt her feet naturally flex to fit the curve of the branch and stabilize her as Sakral had been repeatedly telling her to do. A perfect landing! And now, for the finishing touch, she said to herself. Without turning around or even looking back, she brought her left arm down, waited until she felt the vine go slack, then twitched the vine, and waited again. She counted to six—the amount of time she had learned the living vine needed to detach its hooks from the pivot branch and coil itself back up—then curled her wrist forward, opened her fingers, and caught it neatly in the palm of her gloved hand. Like every kid in Solasenda, 11-year-old Kiva Stone has been far too busy training for one of the five town guilds to think about something as useless as dreaming. But when she and her sister DeeDee uncover a mysterious plot to get rid of them, their only hope lies with a shadowy group of people who get unimaginable powers from their dreams. As the girls escape with them up the river, they start learning secret dreaming techniques that have been forbidden for centuries. But how can they learn enough to stand against the enemies chasing them? The answer lies in the shattered history of Orora Crona, the lost Valley of Dreams, and whoever can piece it together first will rule for centuries to come. P.H.T. 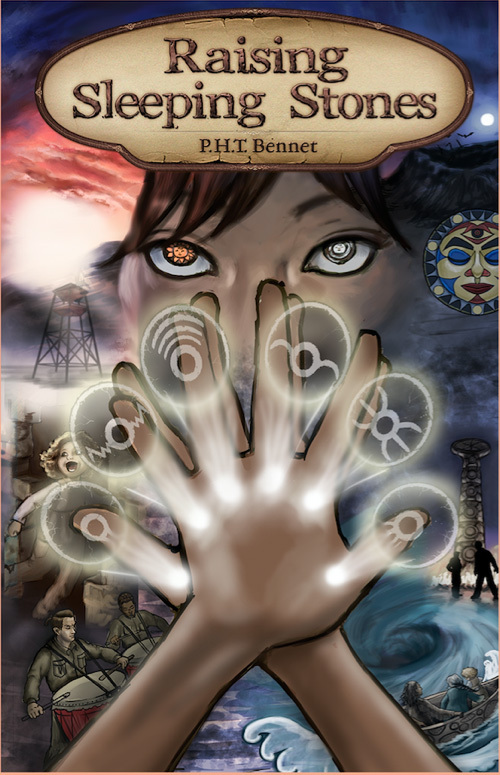 Bennet began exploring his dreams when he was a child and has never bothered to stop. 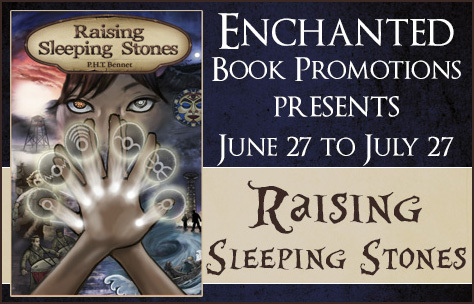 He had the good luck to have two daughters, Juliette and Paola, who not only served as the inspirations for DeeDee and Kiva, the main characters of Raising Sleeping Stones, but also helped him turn their family dreamwork sessions into this book. His lucky streak grew when he married his lovely wife, Mim,who tolerates his turning on a light in the middle of the night to write down ever-crazier dreams and talking about them in the morning as long as he lets her sleep in, first. His favorite dreams involve flying, visiting the dead, and replaying nightmares until they reveal their secrets. 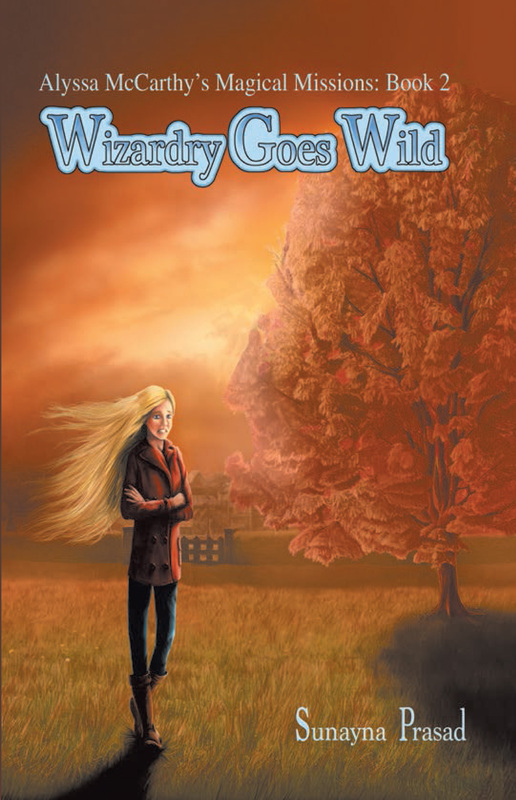 The second book in a series, Wizardry Goes Wild tells the story of 13-year-old Alyssa McCarthy, who faces magic again – this time, she’sz cursed with it. She can perform sorcery ut has no way to control it, and chaos ensues. Alyssa can only get rid of her powers if she improves her confidence. 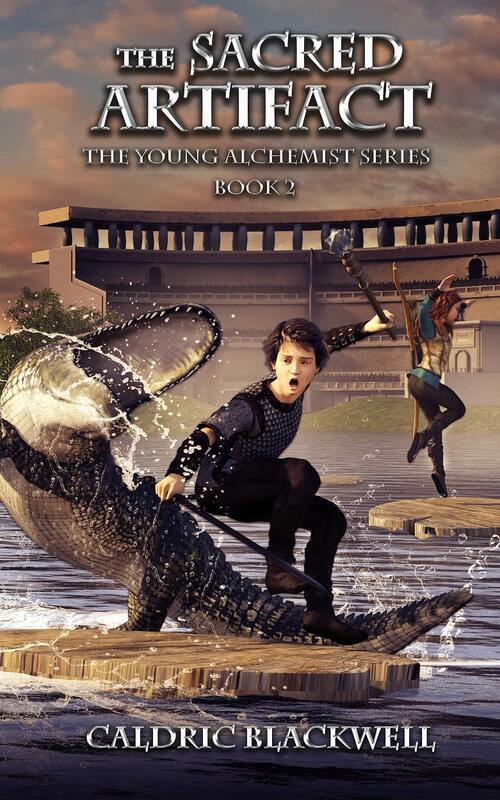 The book offers a nice clash between science and magic, and Alyssa is a likeable main character. She’s clumsy, which I’m sure many young teens will relate to (God knows I was the clumsiest teen ever), has a good sense of humor, and she is quite brave, when she admits it to herself. 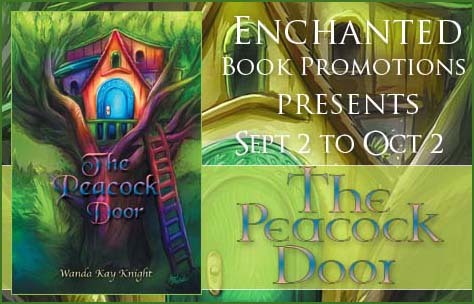 A magical read for middle graders. I’m hosting an interview today for the book tour for middle grade paranormal mystery “Wilhelmina & The Willamette Wig Factory”. I have been writing for several years but only published in the last 2 years. One day I woke up with the first line of a book in my head. It nagged me and nagged me until I wrote it down. As soon as I did, I was hooked! Wilhelmina and the Willamette Wig Factory is my third published novel. This is the first in aseries of 6. My other two books are romantic comedies and both hit the bestseller list in their genres. The first, She Sins at Midnight (totally tongue in cheek) just won 2015 silver medal in chick lit. 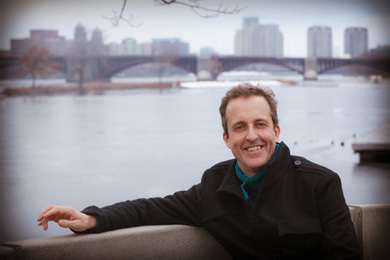 Why did you choose middle grade as a genre to write in? I have two little girls and I really want to share a love of reading with them. I thought the best way to do that is to write some books for them. My advice to aspiring authors is to write, write, write. Don’t edit yourself. Don’t worry what other people will think, just let the process happen and enjoy it! I have my third romantic comedy in the works and my second Willy and Tommy Adventure. Both will be released in the spring of 2016. 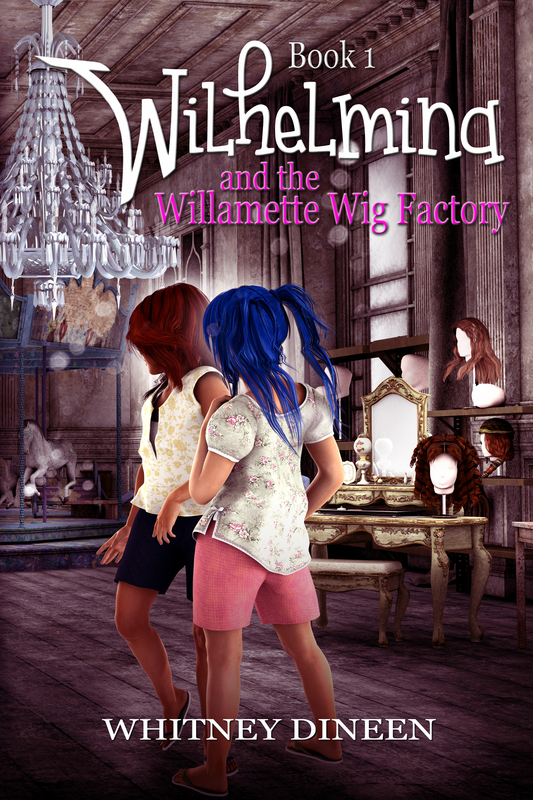 Wilhelmina and the Willamette Wig Factory is Book 1 in the Willy and Tommy Adventure Series. Wilhelmina Snodgrass and her family move to the Willamette Valley, Oregon, against her express wishes. Not only is she sure her life is over, but she’s convinced she won’t make any friends. That is until she meets her eccentric blue-haired neighbor, Thomasina Andretti. Willy and Tommy become involved in a s conspiracy to reopen The Willamette Wig Factory, with their unsuspecting friend, Georgianna Carbunkle. The plot, however, is orchestrated by three of Willy’s ancestor’s, from beyond the grave. 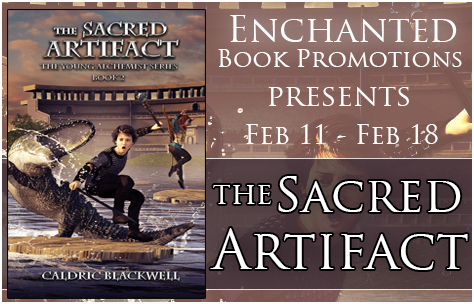 Scrapes, mishaps and the unforeseen occur; including becoming sworn enemies with Tiffany Peterson, the most popular girl in the seventh- grade, a crush on super-stud, Jamie Armstrong and a mysterious carousel. Willy and Tommy have it all-mystery, revenge and romance. Monteith, Oregon, becomes the stage for adventure beyond their wildest dreams! 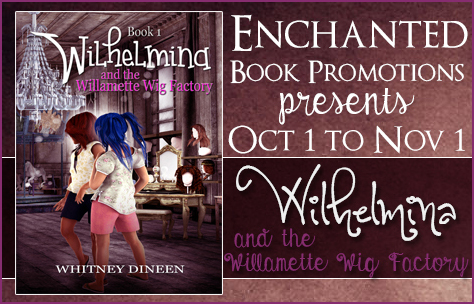 In addition to her love of chick-lit, Whitney has also written a series of adventure books for middle readers The first of which, Wilhelmina and the Willamette Wig Factory, is now available.